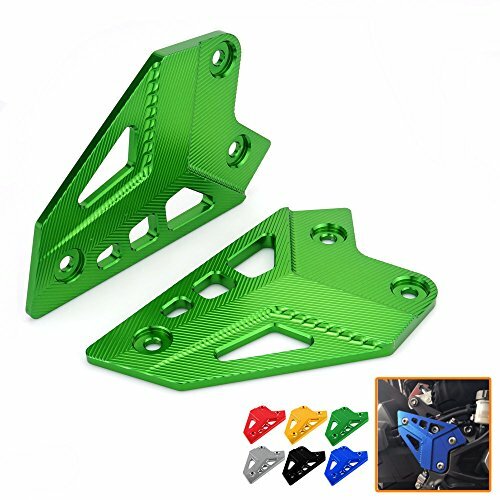 1-1/4 Lightweight Aluminum Tubing Keeps Weight to a MinimumIntegrated Heel Guard Far Superior to Stock Plastic UnitsSold in PairsPlease Note: The Image Displayed Is Representative of the Item, but May Vary Depending on Your Specific Model. 1-1/4 Lightweight Aluminum Tubing Keeps Weight to a MinimumIntegrated Heel Guard Far Superior to Stock Plastic UnitsSold in PairsFits the Following Kawasaki Models:KFX400 2003-2006Fits the Following Suzuki Models:LT-Z400 2003-2008Please Note: The Image Displayed Is Representative of the Item, but May Vary Depending on Your Specific Model. 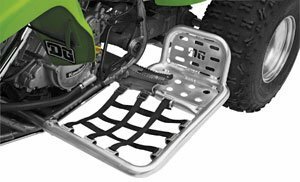 Pro Armor new Revolution nerf bars make it easy to change out your heel guard plates for the heel guard nets, and then back to the plates to suit your riding needs. 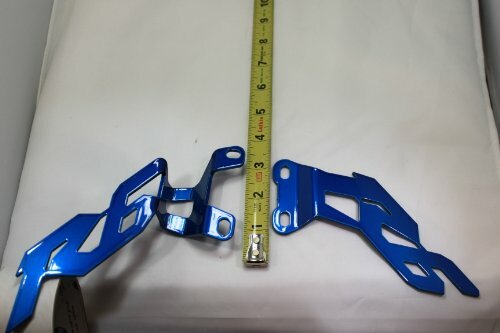 Suzuki GSX-R Heel Guards Machined from aluminum, precision laser cut with the GSX-R logo. 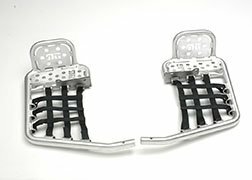 They are the same shape and size as your original heel guards. 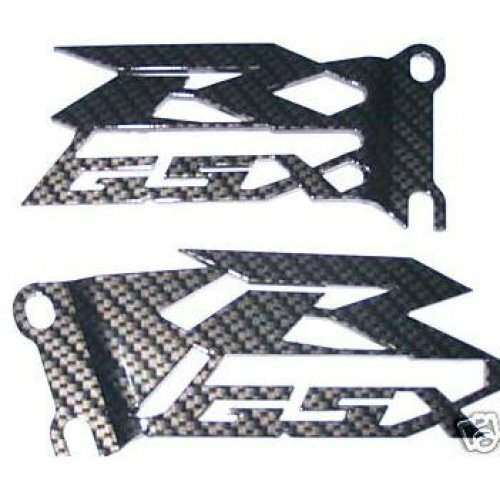 They have a unique design and are the perfect way to dress up your Gixxer for the show. 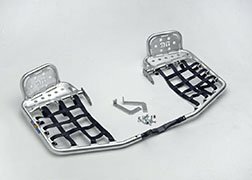 They have a special slotted mounted system that allows them to fit all years of GSX-R and even fir the SRAD as well. Fits all years and the following models: GSX-R 600, GSX-R 750, GSX-R 1000, and SRAD. You can double check! The min. bolt spacing for the slotted holes are 35mm for the left and 45mm for the right. 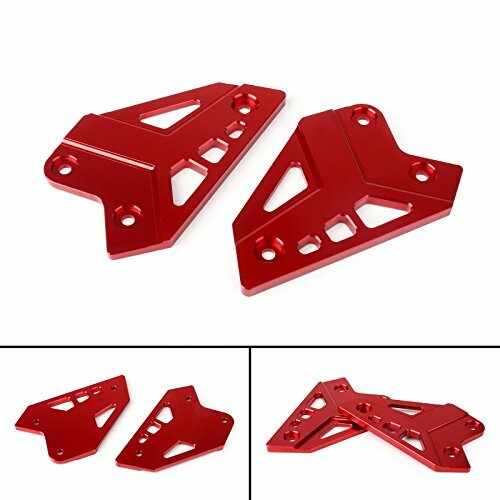 The Bare Metal is bare aluminum set so you can paint, polish, or powder coat them what ever color you want. They have only been de-burred and that's it. 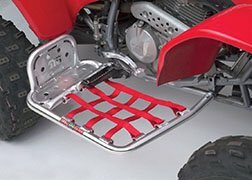 Compare prices on Aluminum Heel Guards at ShopPlanetUp.com – use promo codes and coupons for best offers and deals. We work hard to get you amazing deals and collect all available offers online and represent it in one place for the customers. Now our visitors can leverage benefits of big brands and heavy discounts available for that day and for famous brands.